hrm233 has no other items for sale. Length: 52". These light Bars are the perfect addition to your ride! Saving more energy, efficient and so on. Made of Tuff heavy duty materials, Built to Last ! 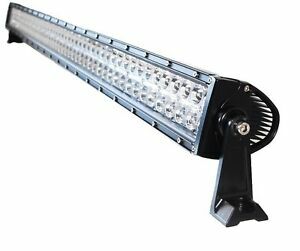 1 × 300w Spot Flood Combo Work LED Light.